As many of you already know you can play most forms of canasta by just grabbing a couple of decks of normal playing cards. That is one of the many parts that makes canasta so much fun. 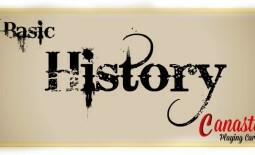 Probably the biggest difficulty is for beginners to be able to keep track of points or remember the wild cards. So there are some companies who have created custom decks of cards to make not only canasta card play easier but it makes the point counting at the end of each round easier too. 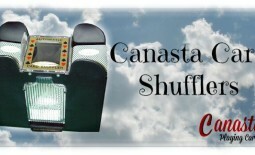 Play canasta the easy and stylish way by using a deck of cars like the Canasta Clásico Set that is available at our sponsor Newt’s Games and Cards. With plenty of class these decks are perfect for the beginner or the seasoned player. 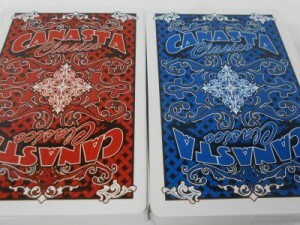 Some folks like to have canasta decks with 2 different color backs and with the Canasta Clásico Double Deck Set that is exactly what you get. 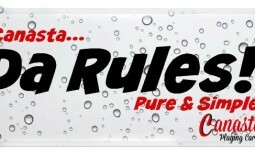 A great mix of quality, unique stylish card backs and faces along with point values to make canasta card play easier. Since their 3rd edition the decks even have a bonus card that allows you to play with a different twist they call “Picante Canasta”, which basically adds a little spice to your normal canasta play. You can use the bonus card are set it aside and play normal canasta. 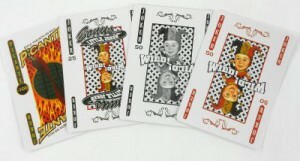 Of course the deck is also great to play canasta variations like Hand and Foot, Samba and more. View of the Jokers from the Canasta Clasico deck.